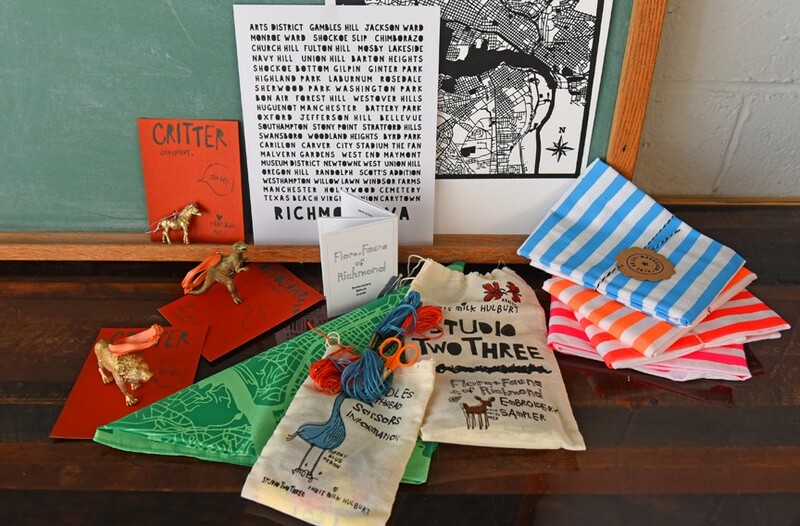 The Holiday Calendar | Cover Story | Style Weekly - Richmond, VA local news, arts, and events. Dominion GardenFest of Lights at Lewis Ginter Botanical Garden. Nov. 23-Jan. 7. Lace up and rid yourself of some of the Thanksgiving Day guilt at the Wegmans Turkey Trot 10-K. Kids run begins at 8:30 a.m., adults run at 9 a.m. at the University of Richmond. $50 for adults, free for kids. Dominion GardenFest of Lights at Lewis Ginter Botanical Garden. Activities, refreshments and awe against the backdrop of a million twinkling lights. $7-$13 garden admission. Through Jan. 7. Black Friday at the Byrd. A screening of "The Man Who Invented Christmas," a film about Charles Dickens and his creation of "A Christmas Carol." Tickets $4. 4:30 p.m.
"Rudolph the Red-Nosed Reindeer: the Musical" at Altria Theater. Based on the revered TV Christmas classic. Through Nov. 25. Tickets $26-$68.50. Model Railroad Show at the Science Museum of Virginia. Enjoy classic model train displays, demonstrations and experiments. Through Nov. 25. Included with museum admission ($10-$15). Kings Dominion's WinterFest. The entire Kings Dominion park is turned into a winter wonderland with festive lights, holiday activities and performances. Various rides open as well. Select nights through Dec. 31. Tickets $22-$38. "The Snowman" animated movie at the Carpenter Theatre. A young boy's magical friendship with a snowman, told through the Richmond Symphony. Pre-concert instrument petting zoo at 10 a.m. Tickets $10-$20. 11 a.m. screening. Friendship, Trade and Feast at Henricus Historical Park. Learn and experience cooking and activities to the tune of 17th-century Virginia, plus see a re-enactment of the first Thanksgiving in English America. Tickets $7-$9. Miracle, a Christmas themed pop-up intended to spread holiday cheer and charity, is invading the Jasper in Carytown for Richmond's own Miracle on Cary Street. Enjoy holiday decor and yuletide-themed cocktails. Through Dec. 31. Jim Brickman: a Joyful Christmas at the Carpenter Theatre. Grammy-nominated singer and pianist performs his own version of holiday classics. Tickets $37-$77. 3 p.m.
Holiday Festival of Music at Cathedral of the Sacred Heart. Victorian themed Christmas music performed by the Richmond Symphony. Tickets $20-$150. 7 p.m.
Thirty-second annual tree lighting at the Jefferson Hotel, Nov. 26. 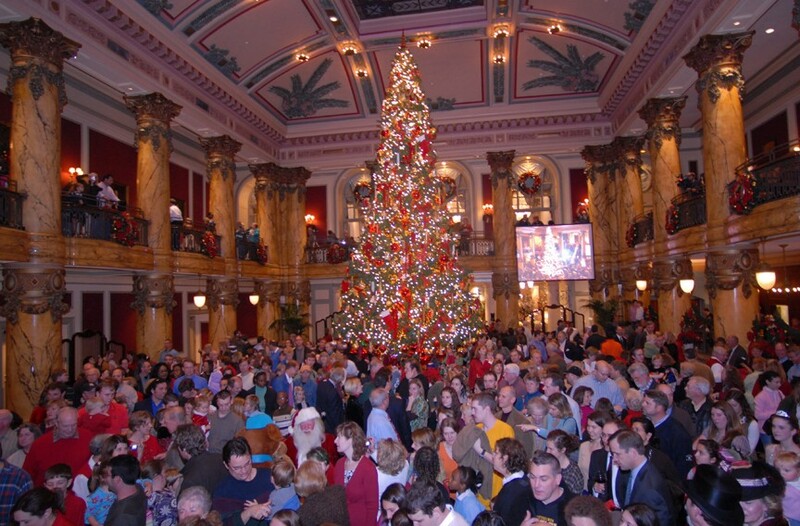 Thirty-second annual tree lighting at the Jefferson Hotel. Official tree lighting ceremony, plus musical performances and a collection of holiday characters – including Santa and Mrs. Claus. Free. 5 p.m.
Official Capitol Tree Lighting. Join Gov. Ralph Northam and his family at the Executive Mansion. Holiday open house kickoff to follow with holiday refreshments and music from 5:30-7:30 p.m. Free. The Bizarre Bazaar at the Richmond Raceway Complex. Marketplace full of exhibitors offering seasonal gifts, home decor, jewelry and crafts. Tickets $9. Through Dec. 3. Glorious Christmas Nights at West End Assembly of God. Featuring holiday musical "Angels and Kings." Through Dec. 9. Tickets $18-$30. Home Free: a Country Christmas Tour. Five-man vocalist band singing country and holiday tunes. 8 p.m. at the Carpenter Theatre. $29.50-$49.50. See the classic holiday film, "Miracle on 34th Street," at Henrico Theatre. Through Dec. 1. Tickets $1. Create your own holiday wreath using freshly cut greens with Maymont's wreath class. Bring your own clippers and gloves. Class offered at both 2 and 6 p.m. in the Stone Barn. Tickets $32-$40. Quirk Gallery offers its annual Sparkle Plenty exhibition with wearables and artistic jewelry made by contemporary artists. Through Jan. 6. A Doublewide, Texas Christmas at Cat Theatre. Christmastime in a tiny Texas trailer park town is getting double crossed by the county, and the residents won't stand for it. Through Dec. 15. Tickets $13-$33. "The Game's Afoot: Holmes for the Holidays." A comedy following a Sherlock Holmes actor who suddenly has a real-life mystery on his hands. Through Jan. 6 at Hanover Tavern. Tickets $44. The Grand Illumination of James Center. The official lighting of Richmond's downtown, with live music and family entertainment. Free. From 5:50 to 7 p.m.
Kanawha Plaza Illumination Celebration. Keep the Grand Illumination festivities going down at Kanawha Plaza, complete with entertainment, food, beverages and holiday cheer. Free. From 7-8 p.m.
Deck the Halls Workshop at Maymont. Create your own holiday decorations with the help of Maymont's experts. Tickets $37-$45. 6 p.m.
Live Wreath Making with Photosynthesis Floral Design at Courthouse Creek Cider in Richmond. Create your own wreath using real pine tree branches. Tickets $60. 7 p.m.
RVA's Second "The Last Waltz" at the Broadberry. Come celebrate the famous concert film by the Band with local musicians re-creating it. Featuring members of the Congress, Jackass Flats and the Head and the Heart. $12-$15. 9 p.m. Gingerbread Date Night at the Branch Museum of Architecture and Design. Materials provided to make a gingerbread house, plus drinks and hors d'oeuvres. $55 for one, or $90 per couple. 7 to 9 p.m.
Light Up the Tracks in Downtown Ashland. Twinkling Christmas lights strung throughout the town. Presented by Dominion Energy Center. 6 to 9:30 p.m. Handmade Holiday at Hardywood Park Craft Brewery Richmond. More than 50 vendors bring an assortment of art, crafts and gifts. Through Dec. 2. Free. Pawliday Market and Santa Photos at All Dog Adventures. Nearly 25 vendors selling pet-related gifts and accessories. Free to attend. Pet photos with Santa starting at $10. 11 a.m. to 3 p.m.
Join the Cultural Arts Center at Glen Allen for its annual tree lighting, complete with seasonal music, hot chocolate, cookies and Santa. 4:30 p.m. Free. Branch Holiday House Tours. Get a tour of the Branch Museum with its detailed architecture and cultural significance, now decked out in its holiday attire. $10 per person. Additional dates: Dec. 15, Dec. 22 and Dec. 29. 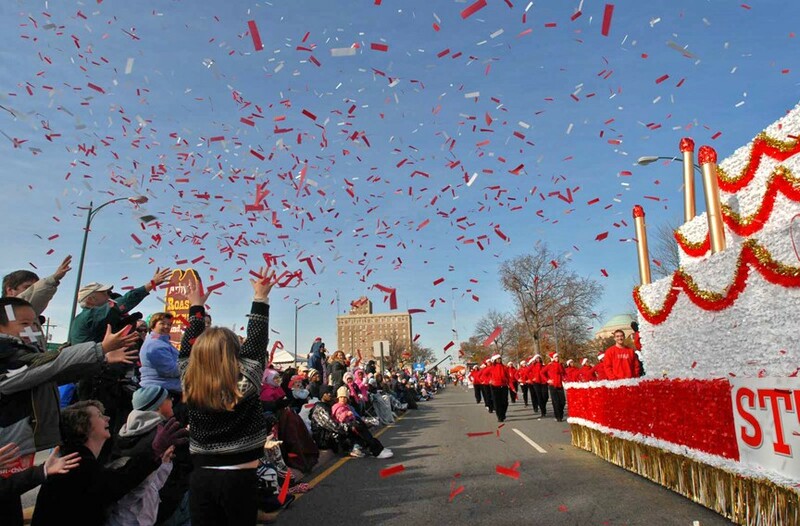 Dominion Energy Christmas Parade, Dec. 1. See Santa and a variety of holiday floats at the Dominion Energy Christmas Parade. 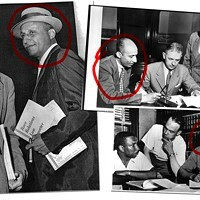 Begins at the Science Museum of Virginia, and runs down West Broad Street 10 a.m. Free. Christmas 1855 at Centre Hill Museum in Petersburg. See this historic building dressed in its holiday finest, the way it would have been in the 19th century. 10 a.m.-5 p.m. Free, donations accepted. Let It Snow at the Carpenter Theatre. Featuring sounds of the season from Richmond Symphony and Richmond Symphony Chorus. Tickets $10-$82. Through Dec. 2. 8 p.m. Old-Fashioned Christmas at Maymont. Enjoy mansion tours, a marketplace, festive music, activities and carriage rides. Tickets $4-$5 for tours and $4-$5 for carriage rides. From noon-4:30 p.m.
Chris Tomlin Christmas: Christmas Songs of Worship at the Carpenter Theatre. Tickets $36.50-$97. 7 p.m. The Mavericks, Hey: Merry Christmas. At Modlin Center for the Arts. A band that regularly blends a mix of rock, country, blues, Latin, swing and soul has added Christmas to its repertoire. Tickets $10-$50. 7:30 p.m.
GardenFest for Fidos at Lewis Ginter Botanical Garden. Leashed dogs invited to enjoy the glamour of the GardenFest of Lights. Regular admission $8-$13 with $2 suggested donation to the Richmond Society for the Prevention of Cruelty to Animals. Additional date: Jan. 3. Runs from 5 to 10 p.m.
Holiday Farm and Craft Market at the 17th Street Farmers' Market. Featuring artisans, crafty gifts, regional farmers and music. Additional date: Dec. 13. 4 p.m.
Community Hanukkah Menorah Lighting. Join friends and family on the Neil November Plaza for an annual holiday tradition. Every day through Dec. 6 at 5:45 p.m. Free. Join the Jewish Family Theatre for its rendition of "Annie" at the Weinstein Jewish Community Center. Before the performance, the cast will lead a community menorah lighting at 5:30 p.m., followed by a pre-show Hanukkah dinner. Performance at 6:30 p.m. Tickets $10. Bring your own candle or lantern for the Church Hill Holiday Candlelight Walk, a festive neighborhood stroll including caroling and a visit from Santa. Begins at Jefferson Park and ends at Libby Hill. 7:15-8:50 p.m.
Find the true meaning of Christmas with the 12 Bars of Charity: a seasonal bar crawl with drink specials at participating locations, with portions of proceeds going to eight charities. 8 p.m. to midnight. Suzie and the G-Tones Rock 'n' Roll Christmas party at the Tin Pan. Tickets $12-$15. 7 p.m.
An Evening of Holiday Favorites at the Cultural Arts Center at Glen Allen. Holiday songs performed by local band the Offering. Tickets $15-$21. 7 p.m.
Henrico Theatre is screening the classic Christmas film "Home Alone." Through Dec. 8. Tickets $1. 7 p.m.
Winter Print Fair art market at Studio Two Three, Dec. 8. Winter Print Fair art market at Studio Two Three. Local art, grilled cheeses and tomato soup bar. Vintage portraits. 11 a.m. to 4 p.m.
14th annual Christmas on MacArthur. At Bellevue and MacArthur avenues. Family entertainment, live music, vendors and a visit from Santa. Free. 11 a.m. -4 p.m.
Keep the holiday shopping going (or get it started) at Blue Bee Cider with local vendors and artisanal gifts at Christkindlmarkt. Hot cider and drink specials available. Noon-5 p.m. Fan District Holiday House Tour. Tour 11 Fan neighborhood homes, including one used during the filming of "Homeland." Tickets $25-$35. Additional date: Dec. 9. Noon-5 p.m.
Kentucky Christmas Morning, a barrel-aged milk stout, release party at Hardywood. 750-milliliter bottles for $15.99. 1 p.m. The annual Krampus Walk in Carytown. Put on your best costume to celebrate the horned and hoofed Christmas character, Krampus. Begins at Citizen Burger Bar and goes through Carytown. Bring horns, bells, drums and other obnoxious noise-making devices. Free to participate. 6 p.m. Tea and Tidings at Pamplin Historical Park. Experience tea time like people did in the 19th century. Reservations required. Tickets $24. 2 to 3:30 p.m.
A 6-kilomter course filled with illuminated holiday spirit for the CarMax Tacky Light Run. 6 p.m. Meet at Midlothian Mines Park. $17-$45 to run. Handel's "Messiah" at the Carpenter Theatre. A holiday classic performed by the Richmond Symphony and the Richmond Symphony Chorus. Tickets $14-$55. 7 p.m. The Taters Holiday Show at Ashland Coffee and Tea. A local Americana band shows its Christmas spirit. Tickets $15. 8 p.m. The Richmond Triangle Players present "Who's Holiday" – the story Dr. Seuss didn't want you to see. At the Robert B. Moss Theatre. 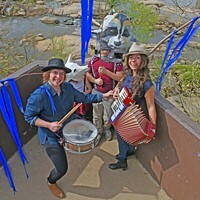 8 p.m.
"A Doublewide Texas Christmas" at Cat Theatre. Directed by Mike Fletcher. 8 p.m.
Three centuries of Virginia Christmas at Henricus Historical Park. See how Christmas was celebrated in the 17th, 18th and 19th centuries, plus a visit from Father Christmas. Kids $7, adults $9. Noon-5 p.m.
Jingle Bell Run at Mary Munford Elementary School. Holiday-themed 5-K benefiting the Arthritis Foundation. $40-$75 to participate. 7:30-10:30 a.m.
Yuletides at Agecroft: Christmas open house. 12:30 to 5 p.m. The 32nd annual Court End Christmas. Receive free transportation and admission to historic sites including the Virginia State Capitol, the John Marshall House and St. John's Church at the Valentine museum's Court End Christmas. On-site events includes music, performances, refreshments and carriage rides. 10 a.m. -5 p.m. at the Valentine. Free. Pet portraits with Santa at Blue Bee Cider. $15 for two photos. Noon. Chester Kiwanis Christmas parade. Celebrate local organizations and Christmas cheer. From the Chester YMCA to Harrowgate Road. 2 to 5 p.m.
Toy Run 5-K at City Stadium. Runners and walkers welcome. Benefiting the U.S. Marine Corps Reserve Toys for Tots Program. $20 or bring a toy and run for free. 1 to 4 p.m.
Church Hill Holiday House Tour. Tour homes in Richmond's oldest neighborhood. Tickets $25-$30. Noon to 5 p.m.
Vintage Is for Lovers RVA Holiday Market at the Hippodrome Theatre. Shop from some of the area's best vintage vendors. $5 entrance fee. Noon to 5 p.m.
45th annual Festival of Lessons and Carols at Canon Memorial Chapel. Join the singers of Schola Cantorum and Women's Chorale for a joyous Christmas celebration through a Festival of Nine Lessons and Carols in the tradition of King's College, Cambridge. Free. 8 p.m.
A Christmas Duo at Cat Theatre. A simple holiday wedding turns out to not be so simple. Showing at 2:30 and 7 p.m. Tickets $5-$10. Atlas Holiday Market at Art180. 10 a.m. to 5 p.m.
Cirque Musica Holiday at Altria Theater. Dazzling acrobatics and aerialists against the backdrop of live symphonic music. Tickets $25-$79.50. 7:30 p.m.
Three Redneck Tenors Christmas Spec-tac-yule-ar at the Cultural Arts Center at Glen Allen. A redneck trio with smooth, operatic vocals singing well-known, deep-fried Christmas tunes. Tickets $35. 7 p.m.
Holiday Makeshop at Studio Two Three. It's the thought that counts. Treats and libations included. 6 p.m. The Nutcracker at the Carpenter Theatre. The traditional holiday favorite, as performed by the renowned Richmond Ballet and Richmond Symphony. Tickets $25-$125. Through Dec. 23. Tacky Christmas Sweater Karaoke at New Kent Winery. The worst Christmas sweaters combined with the best karaoke. 6 to 9 p.m.
RVA Cabaret "What's in the Box" Holiday Improv Edition at Gallery5. An improvised burlesque show, all decked out in yuletide charm. Tickets $7-$10. 9 p.m. Celebrate Christmas traditions like the Irish with Christmas in Killarney at Modlin Center for the Arts, University of Richmond. $35-$40. 7:30 p.m.
Dashin' Through the Bars Crawl. Includes drink specials and entertainment. Tickets $30-$40. 1 to 10 p.m.
Sweet and Savory Holiday Tea at the John Marshall Ballroom. A variety of local foods, plus tea, wine and sherry. Tickets $27.85. Noon. "The Shoemaker and the Christmas Elves." 11 a.m. and 2 p.m. at the Cultural Arts Center at Glen Allen. A classic holiday tale, as told by VA Rep on Tour. Tickets $15. Toy and Gift Card Drive Free Day Party at Good Tymes RVA. DJ Drake — the Wax Assassin — will be on the 1's and 2's. Bring unwrapped toys and gift cards. 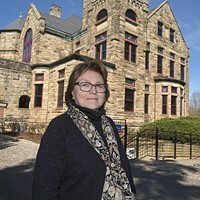 5 to 10 p.m.
Virginia House holiday open house. Tour the iconic English country manor relocated to Richmond in 1925. Presented by the Virginia Museum of History and Culture. Free. Noon to 4 p.m. Holidays on the Homefront at the Virginia War Memorial. Learn about how the United States celebrates the holiday season during times of war and peace. Free. 5 to 7 p.m.
Christmas with the Richmond Pops at Altria Theatre. 7:30 p.m. Free. Created Equal Film Series presents the documentary "Won't You Be My Neighbor" about Fred Rogers of PBS – shown in honor of Grady W. Powell – at the Virginia Museum of History and Culture. 6:30 p.m. Free. The Wanderland tour featuring Lindsey Stirling at Altria Theater. 7 p.m.
Trans-Siberian Orchestra at the Richmond Coliseum. A rock-opera symphony performing "The Ghosts of Christmas Eve." Tickets $50-$79.50. 7:30 p.m.
See a live nativity pageant at the Richmond Metro Zoo with its annual Miracle of Christmas event. Three shows at 7, 7:45 and 8:30 p.m. Through Dec. 23. Free. Susan Greenbaum Band holiday show at the Tin Pan. Local acoustic folk band playing yuletide favorites. Tickets $20-$25. 8 p.m.
"The Polar Express" screens at Henrico Theatre at 10 a.m., 2 p.m. and 7 p.m. Tickets $1. Enjoy a hot breakfast: pancakes, potatoes and eggs at the Weinstein Jewish Community Center. Free. 9 to 11 a.m.
Fruitcake Science. Everyone's favorite holiday dessert to hate is now part of a scientific experiment. 9:30 a.m.-5 p.m. every day, through Dec. 30 at the Science Museum. Included with museum admission. Learn the history of Monument Avenue, its houses and residents while soaking in the festive lights and decor during the Holiday Glitter Walking Tour, presented by the Valentine museum. Meet in the median across from 1805 Monument Ave. Tickets $5-$15. Through Dec. 27. 6-7:30 p.m.
Indecision at the Broadberry. Work off that holiday food just a little bit with some jam tunes from one of Charlottesville's most legendary bands. With the Susan DePhillip Trio. $15 in advance, $20 at the door. 8 p.m. Putting a contemporary spin on a timeless classic, "Hip Hop Nutcracker" presents a holiday performance that would inevitably make Tchaikovsky proud. At Altria Theater. Tickets $35-$65. 7 p.m. The Party Liberation Front presents Decemberween 13 at Diversity Richmond. Fire performance, DJs, circus arts and live music. 8 p.m. to 4 a.m. $46.40. RVA Bachata at Champion Brewing. Live music, food and dance. Child friendly. $15-$20. 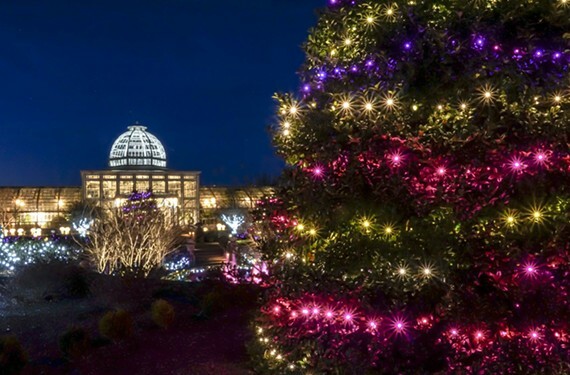 8 p.m.
Live music, family activities, and a parade at the New Year's Eve Family Frolic at Lewis Ginter Botanical Garden. Tickets $8-$13. 2 to 5 p.m.
New Year's Eve Bash with One Stop Pony Band at the Tin Pan. Tickets include live music and a champagne toast. $45-$50. 8:30 p.m.
Anchor Drop: a New Year's Evening at the Broadberry. Ring in the new year with Three Sheets to the Wind and the Rounding Cape Horns. Tickets $35-$50. 8 p.m. Celebrate the end of 2018 at Richmond Triangle Players with a renowned local singer, songwriter and dancer for an Intimate New Year's with Scott Wichmann. 8 p.m. and 10:30 p.m. shows. Tickets $35-$65.